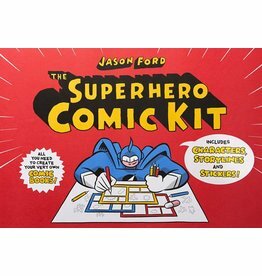 Jason Ford, author of the Super Book for Superheroes and the Superhero Comic Kit, is a British illustrator who spent his childhood reading too many Tintin and Marvel comics. 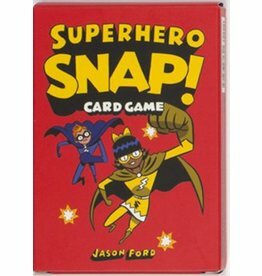 His work has been commissioned by clients including Royal Mail, the New York Times, American Airlines, Orange, Penguin Books, Random House and The Guardian. 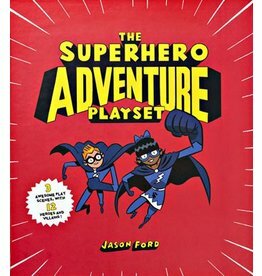 Create superheroes and villains with 6 activity sheets and complete your own superadventures with 10 exciting 8-page, customisable comic books. 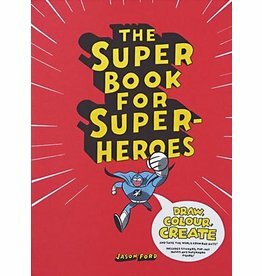 This idea-filled activity book is a must for any kids wanting to create their own superhero universe! 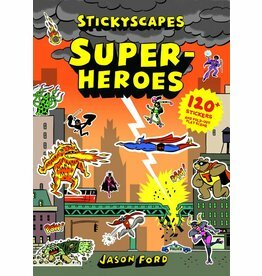 Superhero sticker book including panoramic play scene with a superheroes' cityscape.